White Jeans. Winter. Why not? If you think white jeans are only for summer wear, then you are not right, darling. 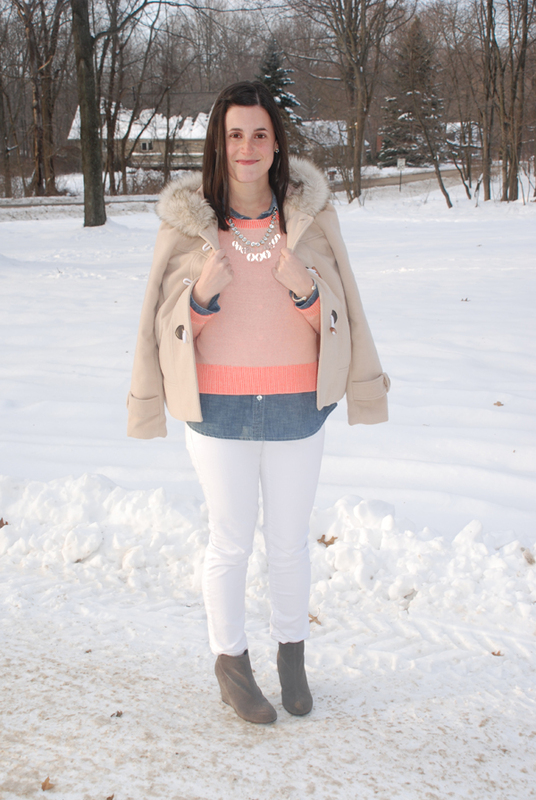 You can create amazing looks wearing white jeans during winter seasons. Today, I want to share with you some of the best style ideas on how to wear these crispy white bottoms during cold days of winter. The best tip so far is the layering, what adds additional comfort and extra warmth, so you can wear beautiful coat, fur outerwear, leather jacket paired with cozy knits and white bottoms. Nothing looks more fresh than white denim pants styled with exaggerated sweater or heavy flannel shirt paired with ankle-boots. Here are shown the easiest and safest ways how to combine your tops with white denim. A cream white shearling jacket looks sweet styled with ribbed knit white sweater, pale blue scarf, white & cuffed bottoms and lace-up booties.